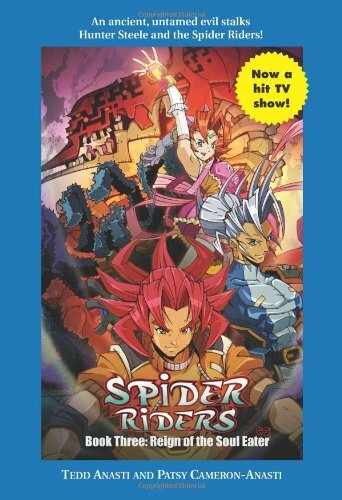 The third book in the exciting fantasy series for 9- to 12-year-olds continues the adventures of young hero Hunter Steele and his 10-foot-tall battle spider in the world of Arachnia-the basis for an the action-adventure anime television series on The Kids WB. With the defeat of Mantid the Malevolent, the Spider Riders' greatest enemy, peace has come to the Inner World. The powers of the Oracle, wise protector of Arachnia's people, the Turandot, have been restored. But Mantid has a new scheme: unleash an ancient force of stunning evil-Sklar, the soul eater, a 50-foot skeleton with mind-probing abilities bent on destroying the Turandot. The Oracle rouses the Spider Riders to action: Hunter Steele, the young hero from the surface world; Corona, the brave warrior; Igneous, the bold commander; Magma, the mercenary; and even the young Turandot princess mount their giant battle spiders for a mission-one that will test their courage and dedication as never before. 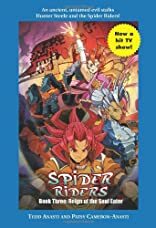 The Spider Riders book series is the basis of the children's action-adventure anime TV series. Produced by Cookie Jar Entertainment, Inc., a leading family entertainment company with properties ranging from Arthur to Caillou and The Doodlebops to Are You Afraid of the Dark? and Dark Oracle, Spider Riders is destined to become as popular as Yu-Gi-Oh! and its predecessors Pok�mon and Teenage Mutant Ninja Turtles. 8-page color insert.